Cast: 6-16 m, 5-15 w, flexible casting, some doubling possible. 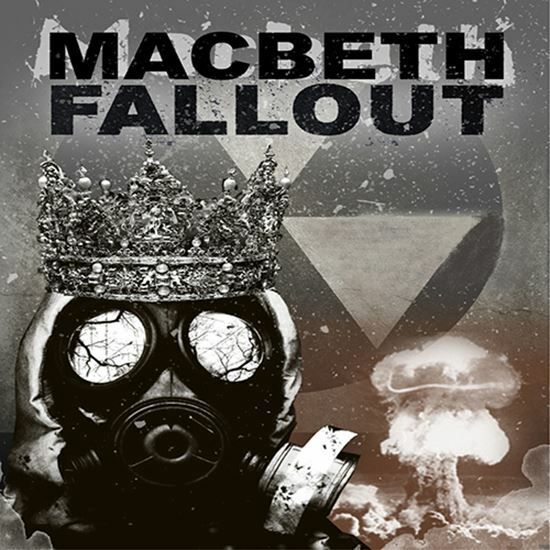 This one-act version of William Shakespeare’s Macbeth maintains the Bard’s original dialogue but changes the setting to a post-apocalyptic world affected by nuclear fallout. The setting allows for many opportunities for creative staging, props, music, and lighting. Three witches arise from piles of mannequin parts, looking as if they were just pieced together. Use of a shadow scrim intensifies the violent and edgy nature of the play. About an hour. A:. I wanted to adapt a Shakespearean tragedy with a more modern twist. Macbeth lends itself to the genre of post-apocalyptic because of all the violence. A: I love the interactions of Macbeth and Lady Macbeth. They are steeped in a power struggle and a bold ambition. A: Working in the stylized elements while staying true to the amazing Shakespearean characters. A: An edgy and modern take on a classic. Bringing in the elements of the post-apocalyptic theme help build interest in Shakespeare in our culture, which is currently fascinated by dystopian tales. A: Have fun with this piece. Make weapons and costumes. Get your hands dirty with Shakespeare.